Sandra Edgerley (above) is a former Bain & Co. director. She also led the Boys and Girls Clubs of Boston for five years. Two women were selected Thursday to lead the board of The Boston Foundation, one of the city’s most powerful civic organizations. The foundation appointed former Bain & Co. director Sandra Edgerley as its chairwoman and Linda Mason, the cofounder of child-care provider Bright Horizons, as its vice chairwoman. They are scheduled to take charge of the board on June 30, at a time when corporations and communities are focused on diversity in the boardroom. The lack of women on corporate boards has drawn criticism in recent years. The Government Accountability Office recently found that while women make up half the US workforce, only about a quarter of the open seats at companies in the Standard & Poor’s 1500 index went to women in 2014. While women have been more widely represented on nonprofit boards than in corporate boardrooms, a recent study by The Boston Club found that there has been little progress increasing their numbers in recent years. The percentage of women holding seats on the 150 largest nonprofit boards in the state increased to 36 percent in 2015, up just one percentage point from 2013. Only 21 organizations had boards with 50 percent female directors, unchanged from 2013, the report found. Paul Grogan, chief executive officer of the Boston Foundation, said the nonprofit has been aggressive about ensuring that women are well represented on its board. Seven of the 18 Boston Foundation members are women, according to the foundation’s website. And Grogan said women have headed the board in the past. Still, this marks the first time that both top board positions will be held by women. The board selected Edgerley and Mason for their experience on charitable boards and in finance, along with their enthusiasm for the job, Grogan said. “Both are dynamic people with a lot of success with their careers,” he said. The Boston Foundation has nearly $1 billion in assets and makes more than $100 million in grants every year focused on health care, education, and other community needs. The foundation has also been in the center of several public policy debates in Boston, including the city’s bid last year to host the 2024 Olympics, commissioning a report that highlighted the potentially positive economic impact of the games. Edgerley worked at Bain for 10 years until 1996, when she left the management consulting firm to raise her children and pursue charitable activities, according to the foundation. Her husband, Paul Edgerley, retired late last year as a longtime Bain Capital managing director and one of its longest serving partners. Sandra Edgerley led the Boys and Girls Clubs of Boston for five years. Mason, who helped found Bright Horizons, the child-care and early education provider, has been involved in international humanitarian work. She has worked with refugees through the worldwide relief organization Mercy Corps in places such as the Middle East. Edgerley replaces Boston Foundation chairman Michael Keating, a lawyer who is retiring from the board. Mason replaces Paul La Camera, former president of the WBUR Group, who is also retiring. Thursday turned out to be a good day for women elsewhere in Boston, where they also took over leadership roles. Law firm Nixon Peabody LLP named Ruth Silman, who heads up the firm’s climate change practice, as its office managing partner overseeing its Boston location. 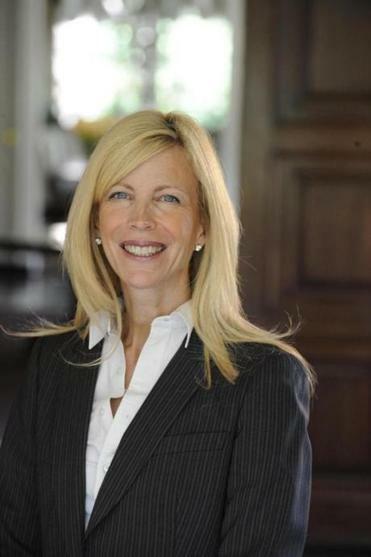 And Massachusetts Business Roundtable, which represents senior executives from the state’s largest companies, selected Marcy L. Reed, president of the utility company National Grid in Massachusetts, for a two-year term leading its board.